← Let’s Stub it Out! I’ve always been rather fond of myths and legends. Nowadays, I try to justify this penchant by seeking their historical origins. But I still enjoy a good story. Imagine my satisfaction when I discovered that we have one of our very own associated with this corner of southwest France. A gallant knight, le chevalier de Lagardelle, returning from the Holy Land, swore to slay the dragon and release his captive. The local people prayed for him and promised to build a shrine to the Virgin Mary if he succeeded. Thanks to the Virgin’s intercession, the knight killed the dragon. The local people started to build a chapel on the slopes above the cave. 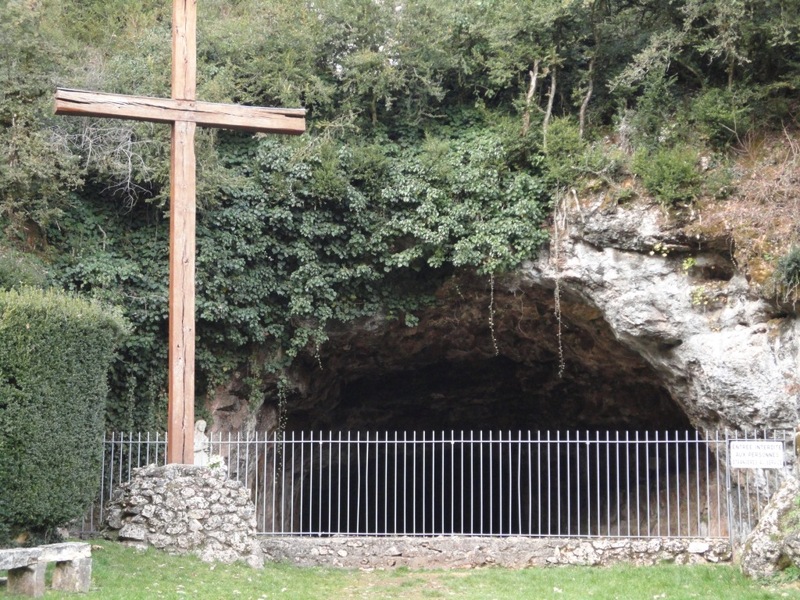 During successive nights, however, angels picked up the stones and placed them opposite the dragon’s cave at the bottom of the valley (the route they took is known today as ‘le chemin des anges’). The locals got the message and built the chapel there instead. They named it Notre-Dame-de-Livron (la délivrance). During the building of the chapel a spring was discovered, which also still exists today. 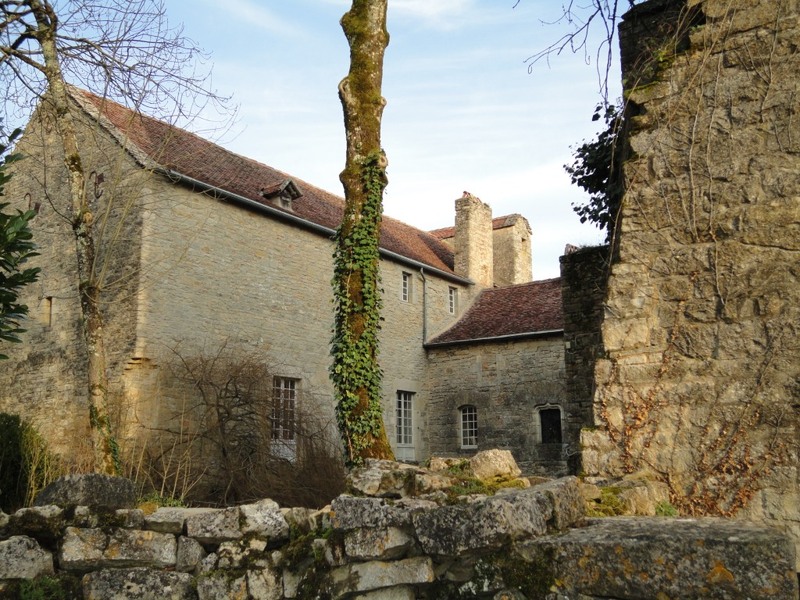 In fact, much of Caylus’ drinking water comes from la source de Livron. Nobody has ever discovered who le chevalier de Lagardelle was. However, there is a possible connection between this legend and one concerning Dieudonné de Gozon, who was Grand Master of the Knights Hospitallers, 1346-1353, and came from a Rouergat family not far away. He is credited with killing a terrible dragon on the island of Rhodes. He even brought back a stone with magical properties from the dragon’s head, which remained in his family until the 16th century. Two of his relatives were commanders of the former Templar commanderie at Lacapelle-Livron a few kilometres from the site of the dragon’s demise. It’s possible that the legend was spread around the region to enhance the prestige and glory of the Knights Hospitallers. The dragon’s cave is now unromantically fenced off and contains a water pump in the bottom. Having looked at that and the present church of Notre-Dame-de-Livron, I decided to go and see the Templar commanderie up the road. It was founded in 1225 with gifts of land and even Count Raymond VII of Toulouse gave up the jurisdiction of the village of La Capelle to the Templars. The commanderie accumulated important territories, churches and villages through gifts from nobles who wanted to assure their place in heaven. The locals had to supply labour, rent and goods to the commanderie but didn’t do too badly out of it and the village prospered through its association with the Templars. The Templars’ fabulous wealth and extensive authority led to their downfall. King Philippe le Bel (the Fair) had them arrested in 1307 and many were tortured and burnt. The Templars’ possessions were given to the Knights Hospitallers (Hospitaliers de Saint-Jean de Jérusalem). They remained in control at La Capelle until the Revolution. La Capelle is one of the better preserved Templar commanderies in the region and is now a private house. It consists of part of the original buildings, renovated in the 15th and 16th centuries, with the austere church of Saint-Sauveur attached. The buildings dominate the Bonnette Valley below. The village of Lacapelle-Livron is now a sleepy, if picturesque, place. Many of the houses are holiday homes and there is little to recall the former glory of the Templars. This entry was posted in Customs, History, Places and tagged Dieudonné de Gozon, Dragon myth, Lacapelle-Livron, Notre-Dame-de-Livron, SW France, Templar commanderie, Templars. Bookmark the permalink. A fascinating legend. There’s a commanderie quite near us. Now I have a much better idea of what it’s all about. Wonderul photos as ever, Vanessa. The Templars’ story is fascinating. Of course, there’s much more to it than I can put down in a short post. We have several commanderies in the region; some were quite important at the time, such as the one at Vaour, which I intend to visit – although I understand there isn’t as much left of it as the one at Lacapelle. Thank you for sharing this remmant of Templar history. I’ve read quite a few historical fiction and non-fiction accounts of the Templars and this is an intriguing bit from real life about them. I’m pleased you enjoyed it, Verna. We have several Templar commanderies in our region – the one I wrote about is not far from us. I received a book about them for Christmas, which has whetted my appetite to see and find out more about them. 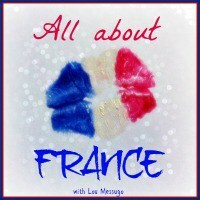 I’m fascinated by that period of French history.